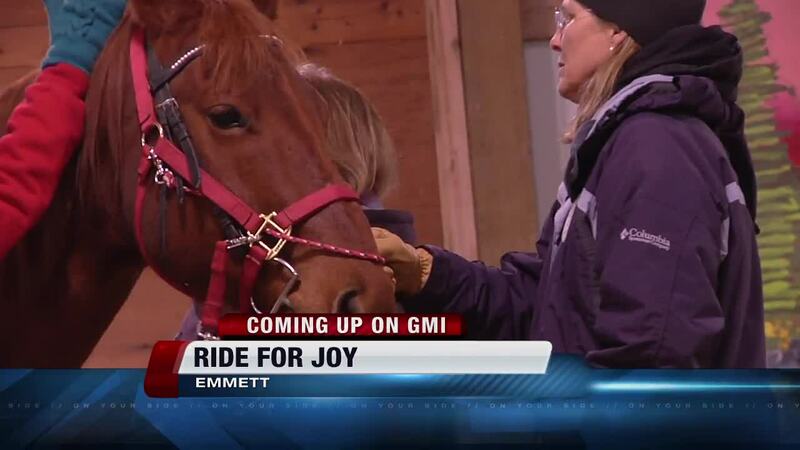 At Ride for Joy, horses bring happiness. The Emmett therapeutic riding program offers people with disabilities a safe environment to learn how to ride a horse. Bubba, Sierra, Chase and Lakota are as calm as they come. "Our horses are our therapists. I have so much respect for these four legged therapists," said Ride for Joy Executive Director Marybeth Conger. Ride for Joy was founded in the 1990s and continues to grow. The nonprofit organization started out just for kids. Now a veterans program has been added as well as a pilot program for adults with special needs. Like Israel Cockey, a 38-year-old Boise man with Autism. A dedicated team of certified instructors and volunteers teach each student once a week, always working for breakthroughs. "The staff here, both the professionals and the volunteers, were immediately in tune to Israel," said Israel's father, Jim Cockey. Ride for Joy is a premier accredited center of the Professional Association of Therapeutic Horsemanship International, or PATH. It's one of only three PATH accredited programs in Idaho. Many families say Ride for Joy is the highlight of their week. Warm smiles always greet you as you enter the barn. "Horses bring out the miracles," Conger said. If you'd like to help Ride for Joy in anyway, or find more information on signing up for riding sessions visit www.rideforjoy.org . The Ride for Joy Annual Gala is this Saturday, March 11th from 6:30 to 9:00 p.m. at the Water's Edge Event Center in Eagle. Food, dancing and both silent and live auctions are planned for the St. Patrick's Day themed event. Tickets are still available online at www.rideforjoy.org .